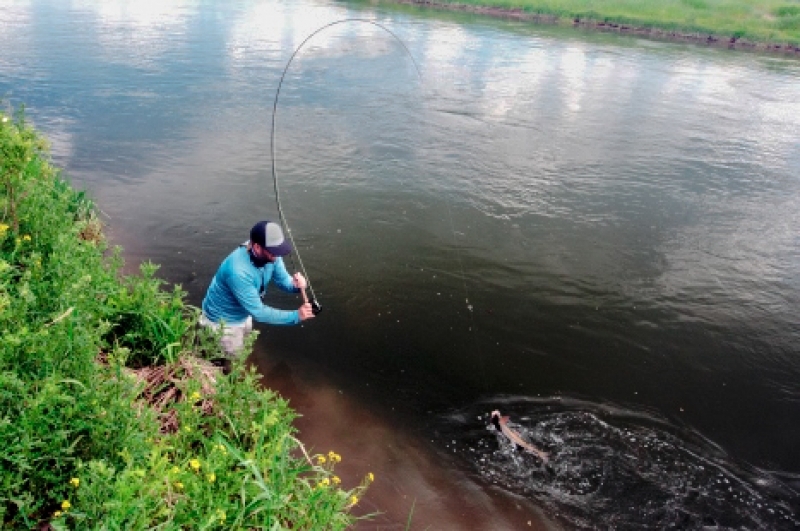 My apologies for our dereliction of notice with regard to what has been happening in Henry’s Fork Country since my last fishing report over two weeks ago. 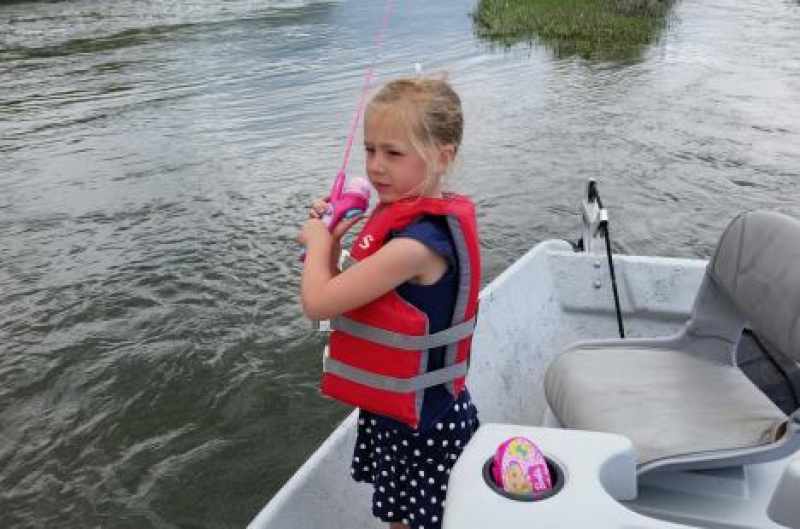 Fishing has been so good we haven’t had time to write about it. Time really sails when you’re having fun and fun we have had. The Ranch has fished better than we have seen in many a year since opening day. Hopefully it will stay that way for a while at least. Part of the reason could be the result of higher than normal stream flows. In my last report I gave a detailed explanation of the effects of low snowpack, a wet May, and so on. I won’t get back into that but flows from Island Park Dam are usually held as low as possible until the irrigation season begins in July. The result has been very low water with hordes of anglers wading all over and walking the banks. Couple that with hundreds of Franklin’s Gulls dipping across the wide expanses of the Ranch and you have traumatized trout that aren’t real comfortable feeding on the surface. This year the water was high enough to keep the trout in a much more happy and comfortable state. Now the flow is higher than I like. Up to now it hasn’t hurt the hatches or the fishing but it makes wading difficult and the water could get even higher. As of this writing the outflow is almost 1750 cfs, higher than it ever gets at any time of the season on a normal year. The positive result in all of this has been lower water temperatures, good for hatches and for trout. The drake hatches are winding down but you should expect good Flav and PMD activity for the next few weeks. Best fishing has been in the mornings with the warm weather we’ve been experiencing. Also, don’t forget Rusty Spinners. You would expect with the higher than normal flows out of Island Park that the river near St. Anthony would also be a good. Not so. With this hot weather the irrigators have been diverting as much water as possible. The Henry’s Fork has been critically low near St. Anthony. I live in St. Anthony and I can’t remember ever seeing the river this low. If you have an in with the Man upstairs, pray for cool weather and rain. 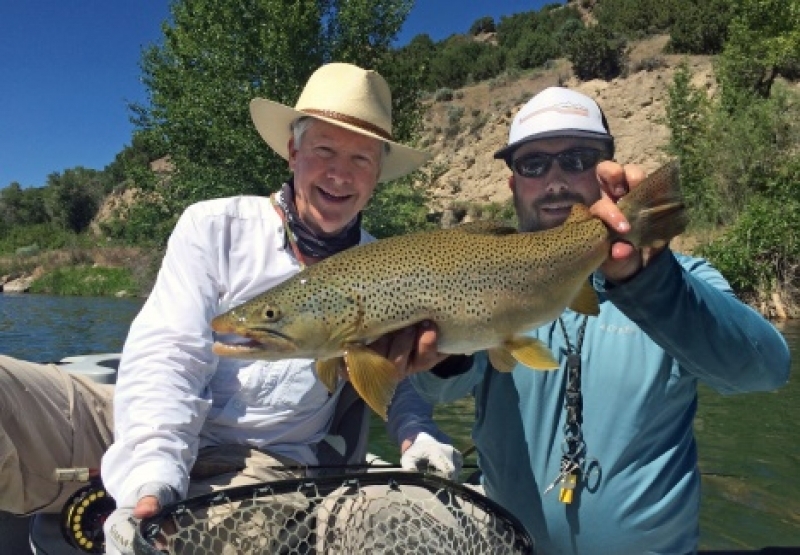 The Upper Madison River has been another bright spot. The big bugs have moved all the way upriver but the fish are still looking for them. There are also good hatches of caddis and it’s a good bet you’ll see some PMDs. Look for Flavs in the later afternoon and evening. Some of our guides have also been getting our clients into some nice fish on Hebgen Lake. Look for this gulper fishing to get better in the weeks ahead. The South Fork of the Snake is on. The flow is a bit higher than normal for this time of year keeping the water cold. Higher water also keeps fish on the bank and in the riffles. The Salmonfly hatch has been as heavy as we’ve seen in a number of years. There are also PMDs, Yellow Sallies, and Green Drakes in the riffles and slicks. You’ll need a boat to access the best water. If you don’t have one give us a call. 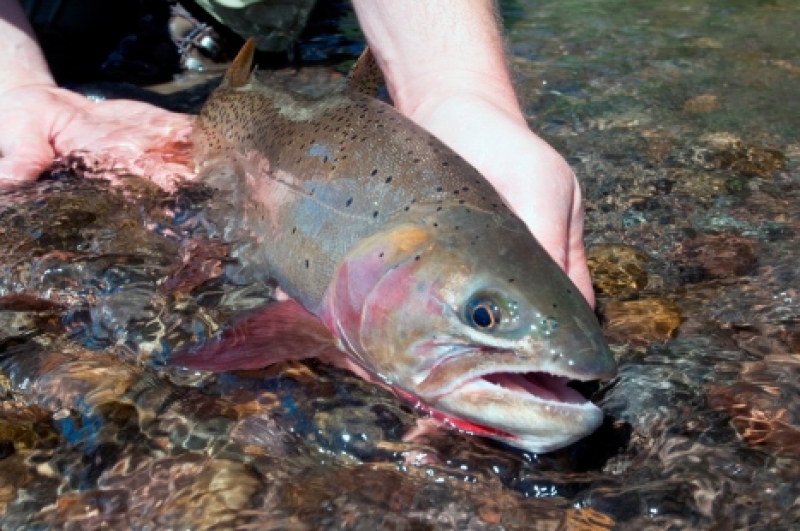 We’ve been averaging at least 8 guide trips a day from our shop to the South Fork. It’s over an hour’s drive but it’s definitely worth it. 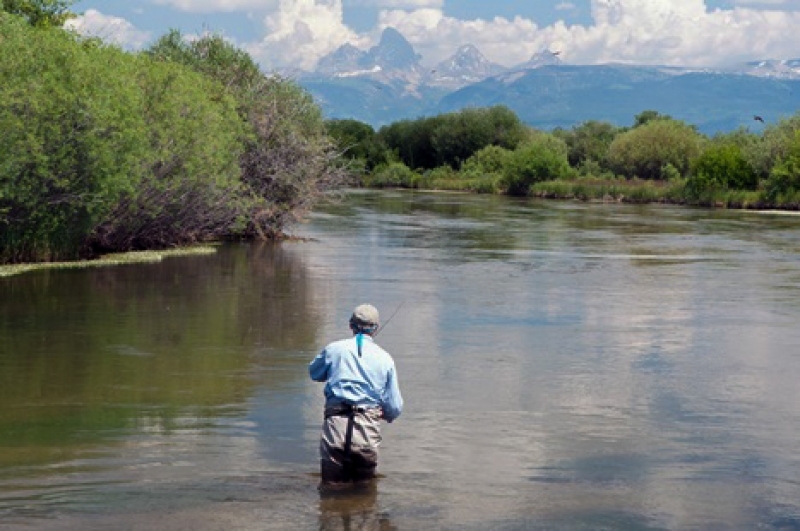 Another river to consider is the Teton. The upper river in Teton Basin near Driggs is just coming on. The water has cleared up and the flows have stabilized at slightly below normal for this time of year. Look for PMDs, caddis, Golden Stones, Yellow Sallies and a few Green Drakes in the morning and evening hours. You need to get out early with hot weather. Dry fly fishing also picks up in the evening hours. The canyon section has also been good with stoneflies. 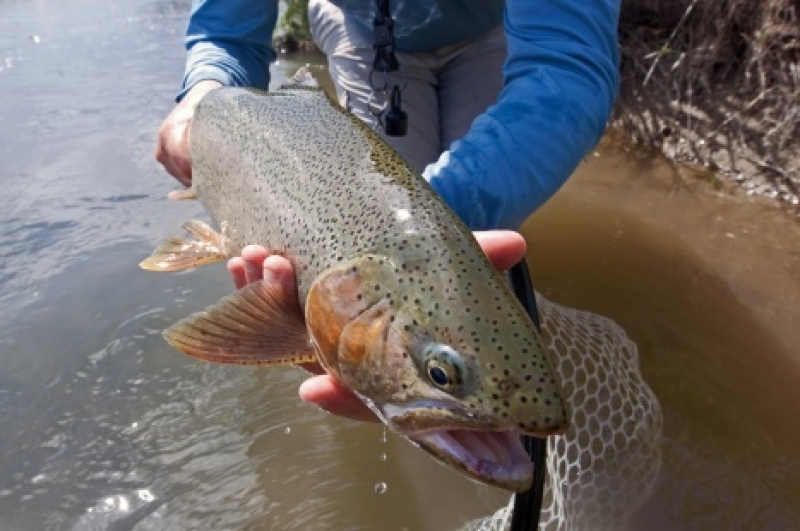 The fishing has petered out on the Firehole and Madison so you’ll need to do some driving to find the best fishing in Yellowstone Park. If you want to hike try the Yellowstone River near Tower Junction. Slough Creek is also shaping up nicely. 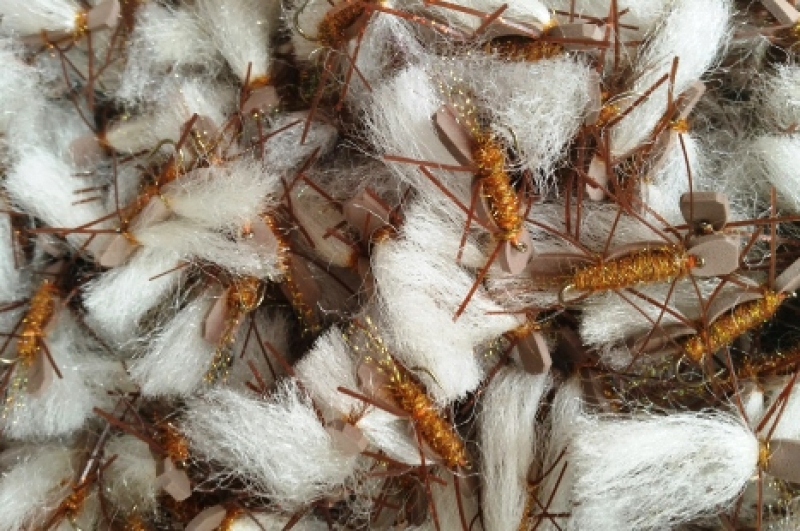 There have been some Gray Drake Spinners, caddis and PMDs showing up. 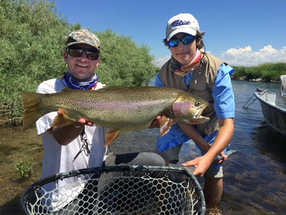 Congratulations to Grant Hager, age 16 who caught a 27-1/2 inch Rainbow while fishing the Lower Teton with Tyler Treece and to Bud Wilfore for his 23 inch Brown caught on a dry salmonfly while fishing the South Fork with Chris Lawson. These are two of the largest trout caught by our guide customers this season. Way to go!! !